As a participant in one of our executive education programmes, you will enjoy a world-class learning environment and superb surroundings. At our executive education suite in central London, you’ll benefit from working in bright, spacious rooms that provide inspiring, creative spaces and are equipped with the latest technology for multimedia learning. What's more, you'll be able to make the most of a range of mouth-watering and nutritious meals and refreshments from our high-end catering services. The facilities have been really good but I'm a sucker for a good lunch and the lunch has been absolutely amazing so top marks from me! 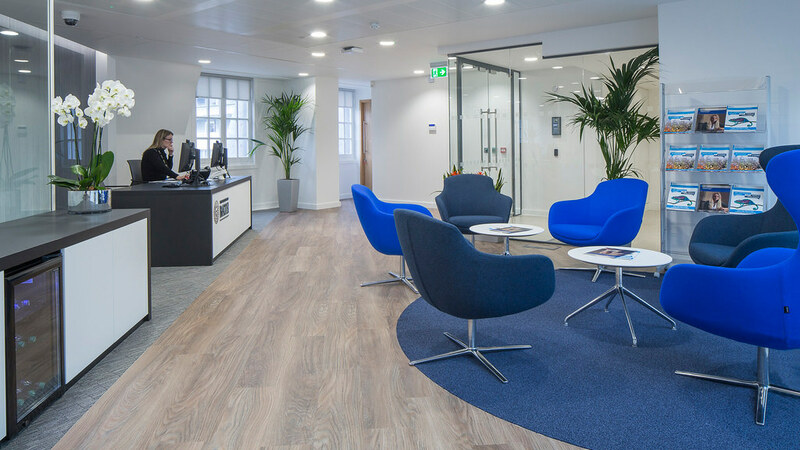 The University’s Executive Education Suite at 83 Pall Mall in central London offers a wide range of rooms and workspaces as well as a lounge and coffee bar. 83 Pall Mall is in the heart of London just a few doors from the Institute of Directors and within a short walk of iconic landmarks and attractions such as Trafalgar Square, Oxford Street, the National Gallery and the West End. Close to 83 Pall Mall is a wide array of cafés, pubs, bars and restaurants. There are many places to stay nearby and throughout London, including some of the world's finest large and boutique hotels. If you're working with us on a customised programme for your organisation, talk to us about what you need and we’ll provide a complete package of accommodation and catering to suit your people and your budget. If you’re coming to one of our open programmes, we can talk you through accommodation options and make bookings for you at a discounted rate.